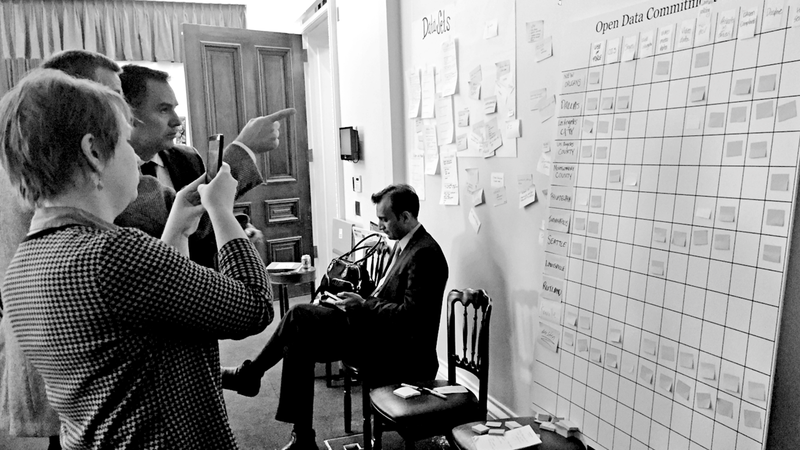 In the fall of 2014, we began our time in the Administration as Presidential Innovation Fellows. Our service took place against the backdrop of a national conversation on police reform and how to increase trust between police departments and the communities they were sworn to protect and serve. 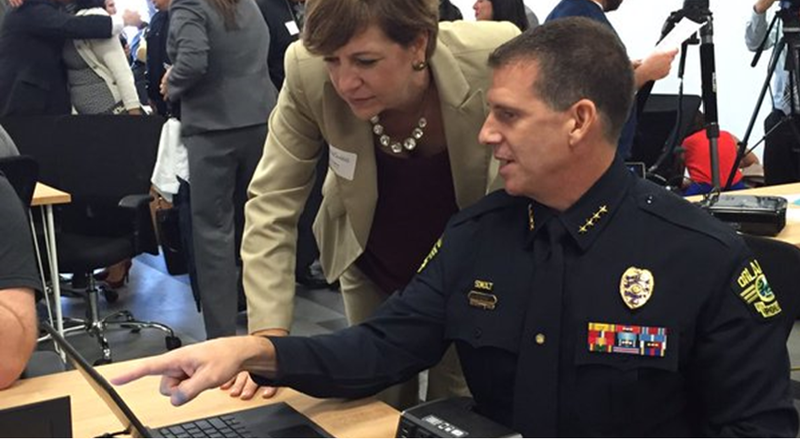 Emerging from that conversation, The President’s Task Force on 21st Century Policing highlighted the opportunity for technology and data to play a central role in building trust between law enforcement and communities while enhancing public safety. What if we could help enable a new culture of open data in law enforcement agencies where police collaborate with their tech counterparts in local government and the community to publicly release incident-level, structured, machine-readable data on policing? Today, the White House is welcoming 39 law enforcement agencies from across the country who are leading the way toward developing a culture of open data in policing through the President’s Police Data Initiative. Joining these agencies are community stakeholders, civic technologists and data scientists, researchers, and local officials. Participants at an April 8th, 2015 workshop discussing initial open data and policing commitments. We started the Police Data Initiative last April by reaching out to police chiefs from around the country who were already leaning forward on the issue of data transparency, and asking them to join us for a workshop with technologists, designers, and civic activists. We challenged those departments in the room to make a commitment to go even further with the great work they were doing, and to help set the standard for what a 21st century police department should look like. We were particularly encouraged by Chief Art Acevedo from Austin, TX who said, “This isn’t our data, it’s the people’s data.” We left the room that day with 14 jurisdictions committed to work toward publicly releasing at least three open data sets about policing that went beyond the typical release of crime incidents, and included things like officer-involved shootings, vehicle and pedestrian stops, officer injuries and community meetings attended. When the President officially launched the Police Data Initiative in Camden, NJ in May 2015, 21 law enforcement agencies were committed to the community of practice and were working toward increased transparency. Participating police departments include: Albuquerque, NM; Atlanta, GA; Austin, TX; Baltimore, MD; Bedford, VA; Bloomington, IN; Burlington, VT; Camden County, NJ; Charlotte-Mecklenburg, NC; Chattanooga, TN; Cincinnati, OH; Columbia, SC; Chula Vista, CA; Cuyahoga County, OH; Dallas, TX; Danville, VA; Denver, CO; Detroit, MI; Fayetteville, NC; Ft Lauderdale, FL; Hampton, VA; Hartford, CT Indianapolis, IN; Knoxville, TN; Los Angeles County, CA; Los Angeles, CA; Louisville, KY; Menlo Park, CA; Montgomery County, MD; New Orleans, LA; New York, NY; Newark, NJ; Newport News, VA; Oak Creek, WI; Oakland, CA; Orlando, FL; Philadelphia, PA; Providence, RI; Rancho Cucamonga Richmond, CA; Rutland, VT; Salt Lake City, UT; San Antonio, TX; San Diego, CA; San Francisco, CA; San Jose, CA; Santa Rosa, CA; Seattle, WA; Spokane, WA; St. Louis, MO; Tacoma, WA; Tucson, AZ; and Vallejo, CA. 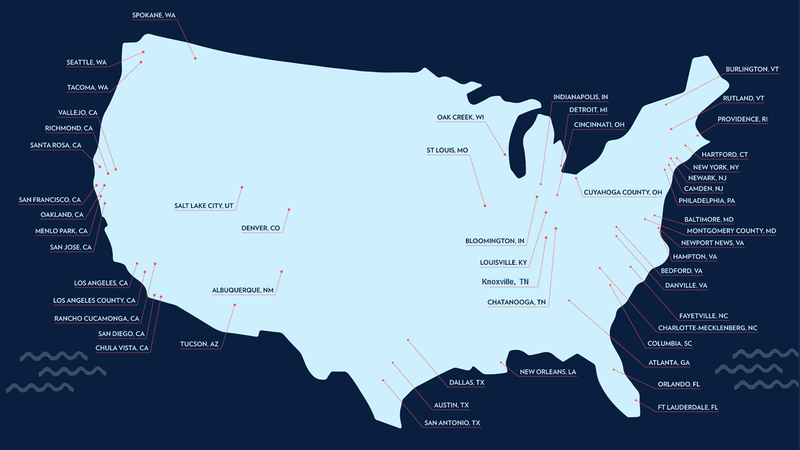 Today, we’re excited to announce an additional 32 jurisdictions that have committed to join the Police Data Initiative, bringing the total number to 53. These jurisdictions, from all across the nation, cover 40 million people, and include three out of five of the biggest police departments. And, while commitments are great, it’s the execution and impact that matters. We’re excited to see the tremendous progress that has been made since May of last year, including nearly 100 data sets released, as well as a number of concrete examples of communities and police departments using data as a way to engage in dialogue and build trust. 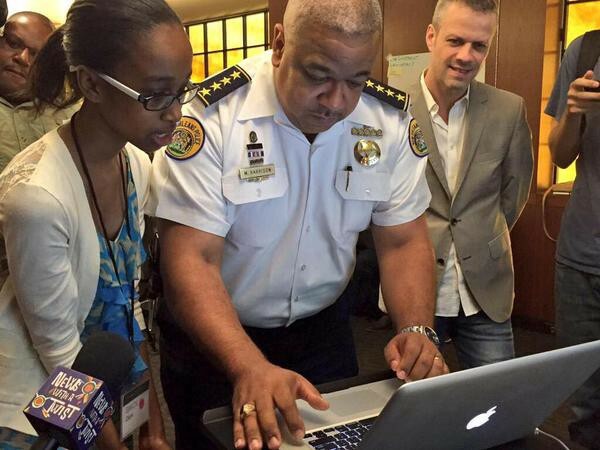 The New Orleans Police Department, for example, previewed policing data sets with a group of young coders and their tech mentors; the Orlando Police Department worked with sexual assault and domestic violence victim advocates to figure out how to balance transparency with victim privacy, and the City of Indianapolis held a hackathon in partnership with a team from Code for America centered on the citizen complaints and use of force data that they worked together to publish. Despite the progress we’ve made, we’re not done. It’s important we continue to build on the progress we have made over the past year. As we continue this work in collaboration with counterparts at the Department of Justice’s Office of Community Oriented Policing Services, we’re looking to add more departments and more sentiments like the ones above to further the goal of building trust in communities via open data and transparency. Find out about more commitments in today’s fact sheet, and if you’re interested in continuing to push this work forward as a community or civic tech organization, company, or law enforcement agency, tell us what you’re up to. Author Notes: The authors are co-leads of the White House Police Data Initiative. Clarence Wardell is a member of the U.S. Digital Service at the White House, and Denice Ross is a Senior Advisor on the Community Solutions Team at the White House Office of Management and Budget.